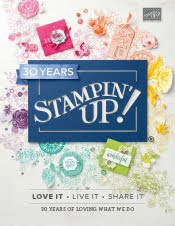 Just Julie B's Stampin' Space: Letters and Textures & Shapes (Oh, My!)! Letters and Textures & Shapes (Oh, My!)! Keeping small children entertained during the cold winter months when they can’t go outside can be a challenge. 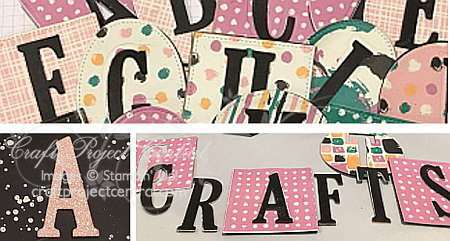 With this tutorial, you’ll use the Stitched Shapes and Large Letters Framelits to create “puzzle letters” that your children can use to make words and play matching games. The Gift Box Punch Board box doubles as a container for the letters and can be another sorting game. Customize the box and tag with your child’s initial, and you have a fun gift for a snowy day. This fun project was made by Buffy Cooper and you can get her tutorial when you subscribe to the month of December over at Craft Project Central. Heart Quilt Wall Art & Card! Thank you - for a Challenge! Pretty Pines Note Card Set! Pop of Pink Gift Treats! Recycled Calendar Envelopes & Note Cards! Flourishing Phrases Cards & Memories Gift Set! One Sheet Mini Scrapbook & Gift Bag! Blossom Builder Calendar & Note Card Gift Set! Elegant New Year Party Ensemble!